If the Sosa/McGwire home run chase of 1998 was "Chasing History," then 15 years later the MLB Hall Of Fame ballot should be subtitled "Confronting History." Or we can do a reality series, "Men Of A Certain Age." 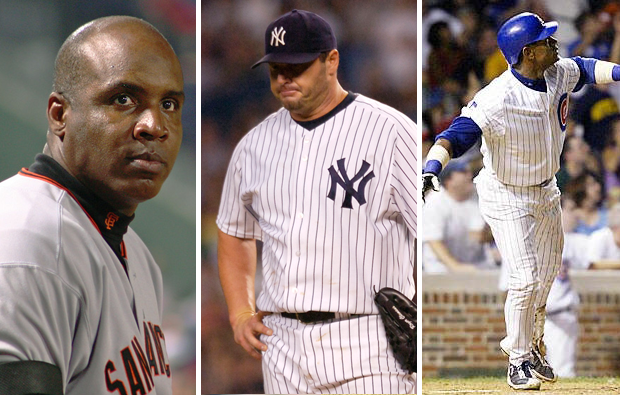 However you slice it, baseball's recent murky past is coming back to the spotlight. Now what is the threshold for these guys to be denied? Criminal implication? Perjury? Mitchell Report? Court of public opinion? We all suspect who was dirty. Does anyone really think that Sammy Sosa and Mike Piazza were clean? But America is about innocent until proven guilty - but by what measure? Just because Clemens and Bonds were cause celebre doesn't mean that other guys from that era get to sneak in under the radar, right? I consider myself a baseball purist, which essentially means that baseball is my favorite sport. Steroids can't ruin it, competitive imbalance can't ruin it (I'm a Yankee fan after all), Bud Selig can't even ruin it. I am not a Hall Of Fame voter, but my instincts are to let them all in. The games happened, the numbers exist, we watched them with our own eyes. They will always be viewed with some scrutiny for their alleged actions, but on the field they defined their era. That goes for McGwire and Palmeiro too. 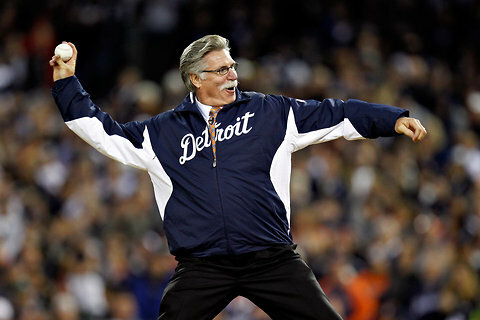 As a baseball "purist" I have to say the 13 years passing over Jack Morris is a sham. What does a guy have to do? He was the ace starter on 3 World Series champs ('84 Tigers, '91 Twins, '92 Jays), was the winningest pitcher of the 1980s, and pitched the clutchest Game 7 in recent World Series history with 10 shutout innings against the Braves in 1991. Critics will point to a career ERA of 3.90, which is heavily inflated after his last 2 seasons in the league before retiring at age 39. Morris passes the smell test with flying colors. And the fact he doesn't stink is a big plus too.